Mix and Chic: Fresh and pretty decorating ideas for a girl's bedroom! Fresh and pretty decorating ideas for a girl's bedroom! When I was a little girl, I dreamed of having a beautiful bedroom. Which little girl didn't, right? If were to decorate a girl's room, I would be inspired by the fresh and chic rooms below! 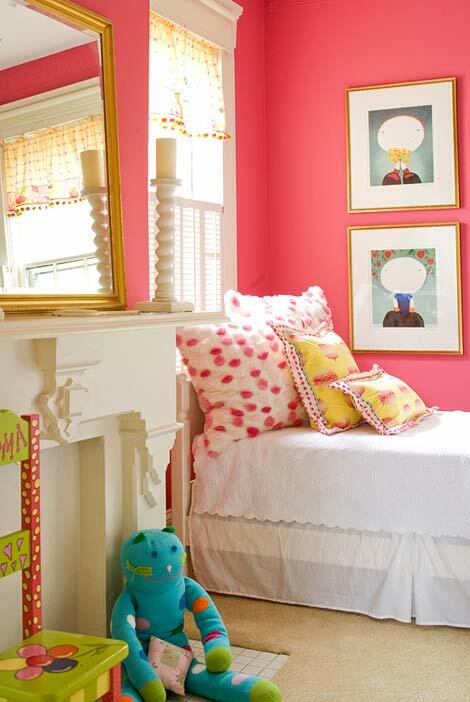 With a few small changes, these rooms can be easily transformed into a tween girl's room. Got to love the versatility! Let's take a look. So, what do you think of these girl's room? Are you inspired or otherwise? Please share with me your thoughts! Oh Jessie... you made me travel many year back! They're all so pretty -- I love girl bedrooms! They're fun to do and fun to see! OH so cute. Love that last one! Adorable and fun but a little sophisticated as well! You're right, these rooms aren't over the top little girlie, but can be adapted easily for the older child. Great inspiration since we have a girls room client in house!